Knowing how to clean wooden furniture correctly and safely will not only keep your home looking its best, but help preserve your family heirlooms for years to come. Luckily, this can be a swift, easy job with the right techniques, leaving you time to relax. Dusting, cleaning, and waxing are all valid cleaning methods, but are only suitable for specific materials and should be applied according to the job in hand. 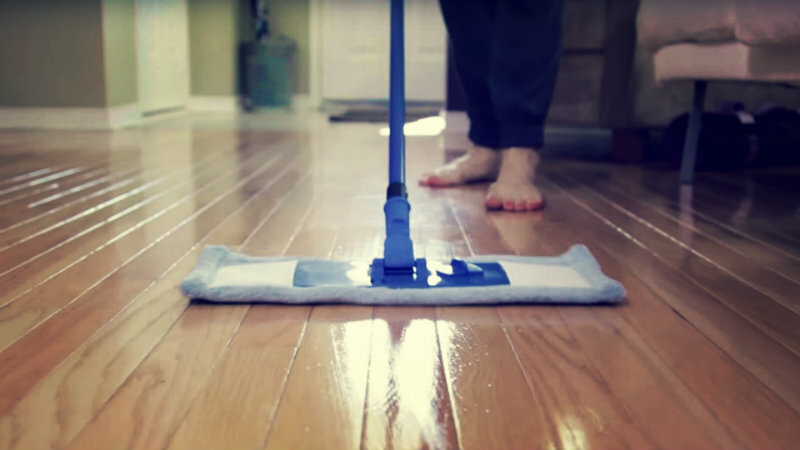 Here we show you the difference between the three techniques, with step-by-step instructions for dusting, polishing, and cleaning wood furniture. A weekly dust will help shift that filmy layer of airborne deposits that build up over time and can scratch the surface of your furniture. Dampen a clean, dry cloth (non-scratching and preferably microfiber) with water and gently wipe the surface. The moisture will collect the dust and prevent any flyaway dust particles. Then, lightly dust up the rest. Feather dusters work well, as will a small, clean paintbrush or vacuum nozzle for helping get into any tight spaces and carvings. Unless your furniture has a protective plastic coating, avoid cleaning with water or commercial cleaning products that are not specifically designed for wood – when using these, always follow the instructions on the label. Test any other cleaning method on a small, unnoticeable area first to ensure that it is suitable for your furniture. Harder stains such as watermarks or alcohol spots can also be cleaned, but will require a stronger solution such as polish. If your furniture has a finish, refer to the manufacturer’s guidelines to check which polishing products are suitable, as this can vary widely. Some fragile or antique wooden items may be unsuitable for use with commercial polish spray or wax, so always read the manufacturer’s instructions first. As you will end up using the same polish time after time, it is worth finding a product that will buff up your furniture beautifully! Also, always test any cleaning product on a small inconspicuous area first. Once you’ve checked your polish or wax is suitable, dust your wooden furniture (following the instructions above) to remove any lingering dirt. If using polish, lightly rub on the wax along the surface grain to form a thin coat. Leave to dry before buffing to a clear shine with a clean, soft cloth. For your safety, always clean in a well-ventilated area. Oiled hardwoods such as teak, beech, oak and mahogany will require an oil treatment (such as linseed or teak oil) with a fluff-free dry cloth. Once again, you’ll need to follow the manufacturer’s instructions, but usually this will involve just leaving the oil to soak into the wood before wiping clean. Now you know how to clean wood furniture, just follow these steps and you’ll have a home filled with furniture that’s spick and span in no time!